Create a culture of trust and authentic decision making in your classroom that values the importance of independent thinking and problem solving. 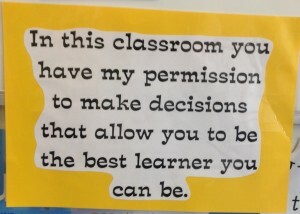 Student’s ask permission for multiple reasons every day. e.g. Can I have some paper please, may I go to the toilet, can I use textas for this activity, can I sit over there, is it ok if I do this part of the work first, can I finish my project now, would I be able to work with a partner? Do you answer each question and make the decisions for your students? Why? Rather than asking, let students tell you what they are going to do. Make or download an I am … poster. 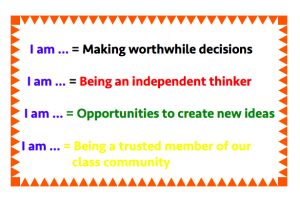 Explain the reasons why you are using the ‘I am …’ model. ‘It is important that you have the opportunity to think for yourself and make decisions that allow you to be the best learner you can be – making worthwhile decisions. I am … is a way for you to manage yourself and do your own thinking without having to rely on me to think and decide for you – being an independent thinker. I am … gives you opportunities to think about and create new ideas. I am … means I am putting my trust in you to make real, authentic and worthwhile decisions. If we set up a culture of trust and authentic decision making students can live everyday in every way in a classroom culture that values the importance of independent thinking and problem solving. I am using textas because they are great to color with. I am using colored paper because I have a new idea. I am working with …….. because they are always helpful. Students change the way they think. Students become the decision makers. Students grow as independent thinkers. You do your thinking and they do theirs. 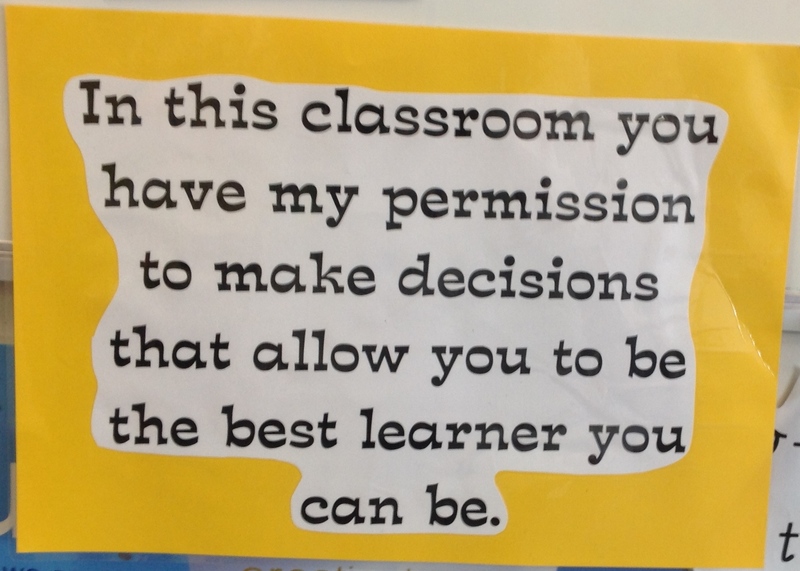 Students may need reminding that the classroom is an ‘I am …’ environment until it becomes natural. Asking the student ‘why’ after they have told you what they are doing will increase their thinking and leads to justification of their choice. 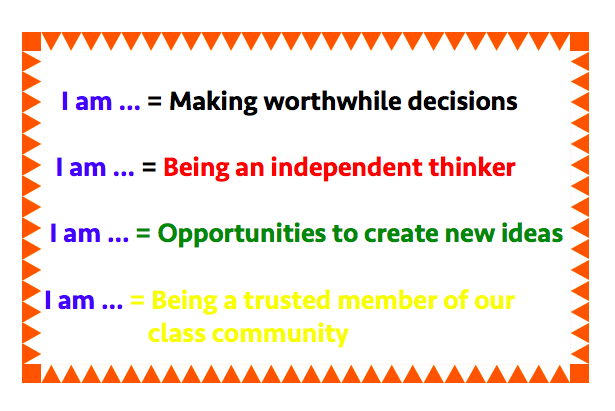 ‘I am …’ is a privilege in the classroom. Students must be specific, authentic and real – it must be an appropriate do-able decision. ‘I am … can never be abused or misused. Now just because the students say, ‘I am…’ doesn’t always mean they will! You are the final decision maker. If it’s ok, then ok, if it doesn’t suit, tell them!